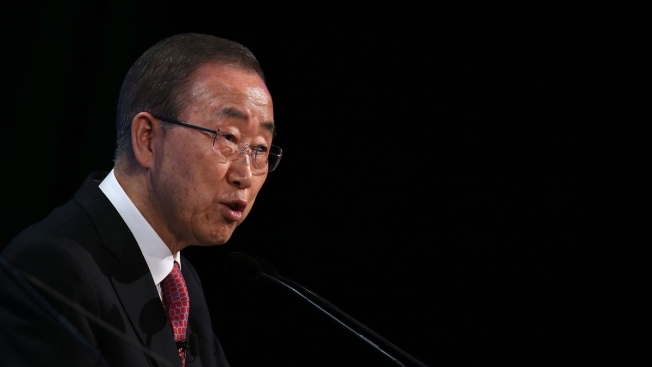 File image of United Nations General Ban Ki-moon. The U.S. on Monday called on all 193 members of the United Nations to not only condemn the terrorism that resulted in the mass killing of 49 people at a gay nightclub in Florida over the weekend, but also to protect gay, lesbian, bisexual and transgender people from such attacks. Deputy U.S. Ambassador to the U.N. David Pressman, speaking at the session that elected Fiji Ambassador Peter Thomson to the post of 71st General Assembly president, said protecting the dignity of all human beings should be at the heart of the assembly's work going forward. He said outrage over the killings should be directed at protecting members of the LGBT community "not just around condemning the terrorists who kill them." 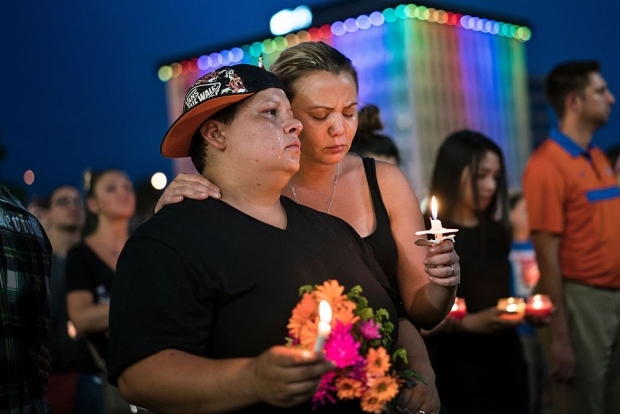 On Monday, the city of Orlando, Florida, mourned the 49 people killed and many others wounded in the attack at the Pulse nightclub — the biggest mass shooting in U.S. history. The White House and the FBI, meanwhile, portrayed shooter Omar Mateen as an apparent "homegrown extremist" who supported the Islamic State and other militant Muslim groups. Mateen was killed in a gun battle with police. Pressman pointed to a General Assembly resolution that calls on member states to protect the lives of all people and investigate killings. Yet "every time it is up for consideration, there is a pitched fight" over whether it is appropriate to include sexual orientation and gender identity in its language. The U.N. has worked to improve the rights of the LGBT community in recent years but has repeatedly run into opposition from some member states — especially from some countries in the Middle East and Africa as well as China and Russia. Pressman's comments come after nearly two dozen civil society organizations that provide services for LGBT communities and others were banned last week from a high-level three-day General Assembly meeting on AIDS. Under U.N. rules, any U.N. member country can veto the participation of any non-governmental organization without providing a reason. Current General Assembly President Mogens Lykketoft said at a news conference with Thomson that it's the right thing to do to step up in defense of the human rights of the LGBT community. "I find it very regrettable the opposition to the participation of those groups" at the U.N. AIDS conference, he said. Thomson said advocates can rest assured of his commitment to the rights of all people, regardless of sexual orientation, when he takes over the presidency. "You'll have a president in the 71st session who stands for (LGBT) rights," he said. U.N. Secretary-General Ban Ki-moon wrote to the governor of Florida and the mayor of Orlando to convey his condolences at "the horrific and hateful act of terror" that targeted the LGBT community. Ban, a strong supporter of LGBT rights, said "such violence is despicable, and contrary to the values of equality, peace and mutual respect that underpin the United Nations," spokesman Stephane Dujarric said Monday.